When I was in summer school year after year I was totally motivated at the beginning and then half way through I would get this shock of realization!! What the hell am I doing going to school in the summer and not enjoying my summer?! I sometimes get that way with the thing now. I am all excited about a new project and dive right in, then half way though, I look around me and think what am I doing??? In today’s blog post I want to share a few ideas on mindset and tool to help you to feel good about the process. 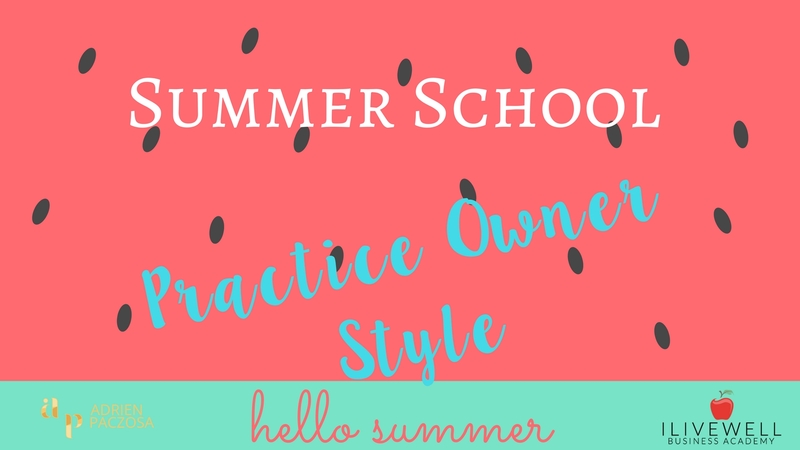 If you are in the beginning phases of starting your practice or you are trying a new phase in your practice, I hope today’s post will offer a few ideas and motivation to get you through the “What the hell! ?” phase and back into the flow of what you need. In any great story, there is the beginning the middle and the end. Any time I start a project I look forward to the end and am completely frustrated by the middle. The middle is the part where I feel I am continuously trying to figure everything out, making mistakes and just lost! I can remember back to the last project, I am pretty sure it took me twice as much time because I was procrastinating about being in the middle and hating the uncomfortable feelings associated with that! Getting past the yuck feeling of the middle takes acknowledging it and owning it. For example, each time I get that yuck middle feeling I know kind of have a light bulb go off. “Oh Yeah!! This is the middle. It will be hard and this is where all your amazing ideas and problem solving come from.” Just by naming it and taking the time to notice where I am without a freak out has made the middle not as bad. When I first heard about the word flow, I was lost. My friend would always talk about how she felt amazing when she was in the flow and when she was working in the flow things just came to her. I honestly was lost, so I asked her what is in the flow really meant and how do you get into this magical place. How she explained flow and how I have begun to add more flow to my life is by being more intentional. I know this might sound obvious and it is super obvious and completely missed all at the same time. Being in the flow is when you are in complete alignment with your goals and working towards them from a mental space of calm. HA!! Ok I should not laugh, and I totally have never experienced that before! I was always working towards my goals from a state of sheer panic and fear- AHHHHHH! How I started to shift that state of fear and panic to ease and flow is still a work in progress. I continuously have to work at it. For me, how I am able to quite my freak out the brain and get to a place of calm and flow is all about routine. I am a morning person, always have been and always will be. Getting up early and spending time taking care of me puts me into a space of calm and flow. I am able to get my thoughts together and able to work from this place of flow. To me, flow feels like I am flying through my to-do list with easy and nothing seems too big a deal when it pops up. I have to say I really like this flow state! When I am not in the flow, AHHHHHH comes back! I’m not perfect and there are some days that I don’t get to have my morning to myself. I can totally tell the difference now and work hard to get myself back to that flow state. As you go through this summer school of iLiveWell Business Academy, I hope you find your flow begins to explore what that feel is to you!